Hello. 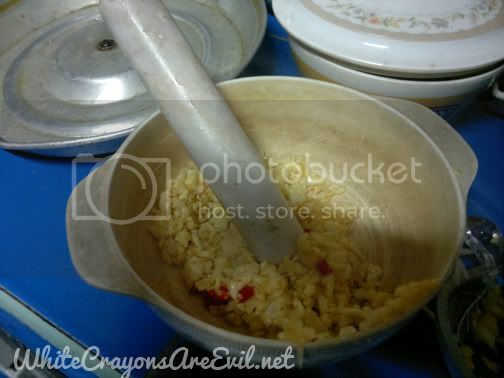 Today, I’m going to teach you how to make your very own home made chili sauce. 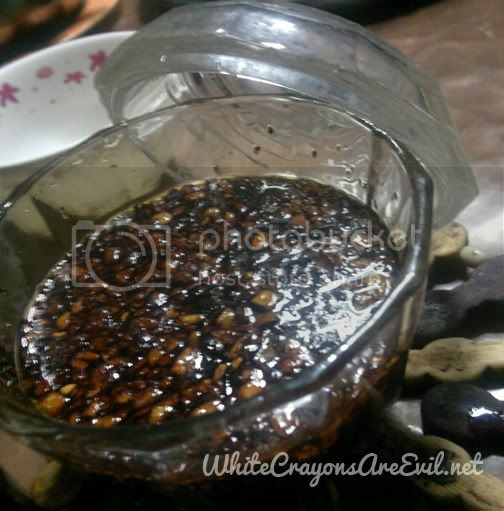 This one is particularly special for me because for years now, I’ve been trying to cook, and obviously failed, that perfect chili sauce Filipinos have grown to love whenever they eat siomai in MRT stations or some kanto eateries and tapsilogans. It seemed simple right? 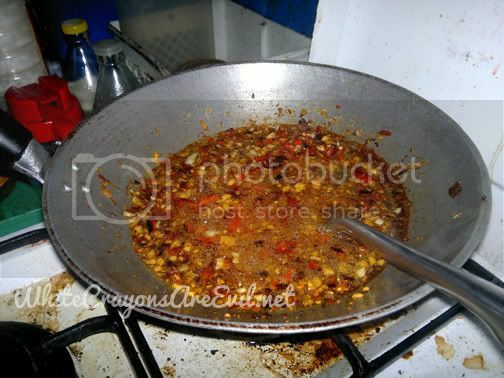 Just toss in a frying pan some chillies and oil and you have a chili sauce. Believe me, it’s not that simple. Now, a note on the proportion. I filled one cup with half chillies and half garlic, so I think I used 6 whole garlic on this one. That usually depends on you. 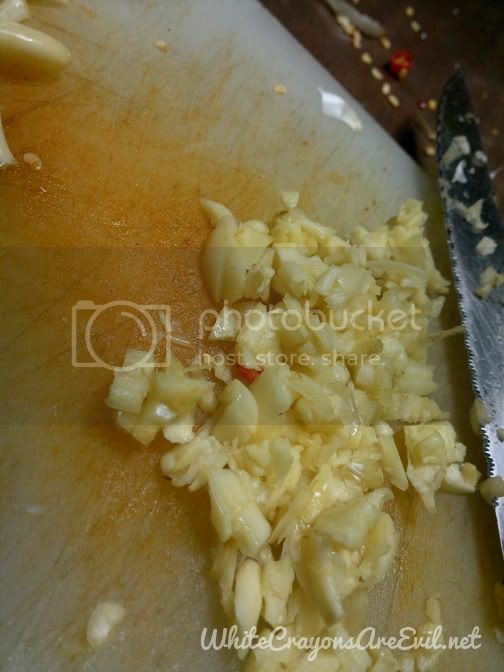 if you want a more garlicy than hot sauce, pump up the garlic. 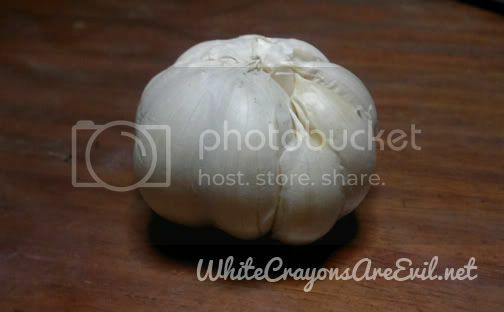 But my final product is just a right amount of garlicy and hotness, so I suggest you play with the half-half ratio first. Be careful not to touch or rub your eyes while doing this. STEP 3: Combine the two. It may not look like it in the picture but the ratio is 50-50. 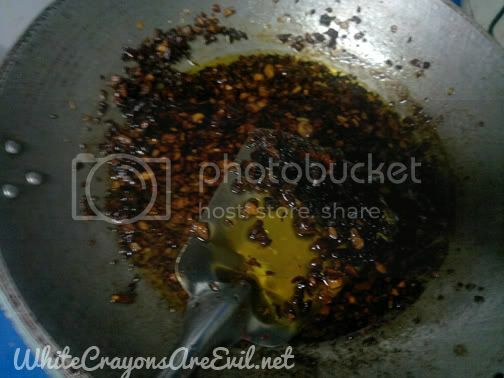 Put the mixture in a pan with low fire and add in two cups of water. 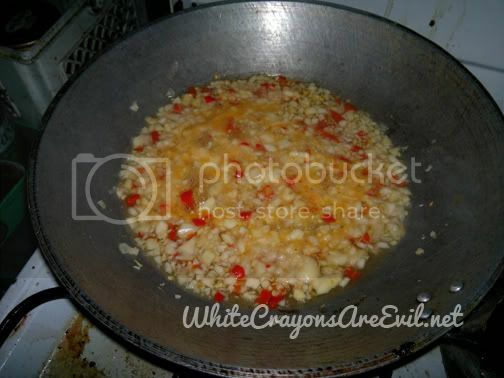 Let it simmer for 15 to 20 minutes or until there is no more water. This is important: do not drain the water, let it evaporate. The garlic and chillies will appear to be toasted, but that’s what we’re aiming for. 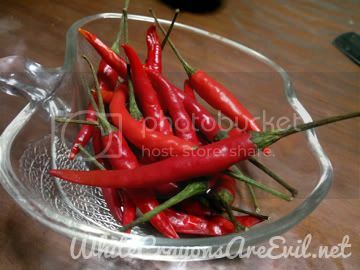 Apparently all the chillies’ hotness will disappear with the water if you drain it. So. 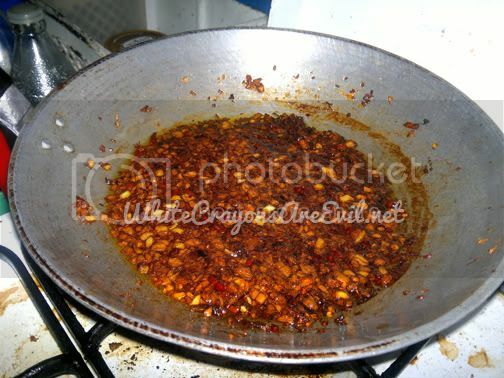 After all the water has simmered, add in the oil and fry the garlic and chillies. 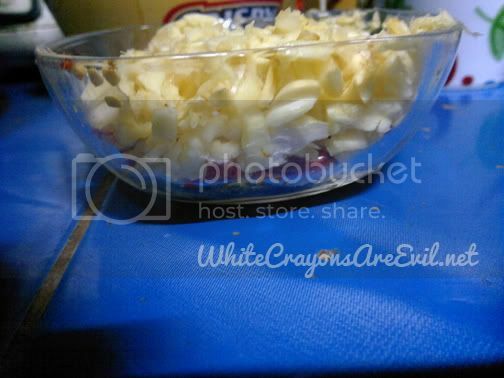 This is so much fun because you can actually smell the garlic and unless you’re pregnant, or you’re a vampire, you’ll love this smell. 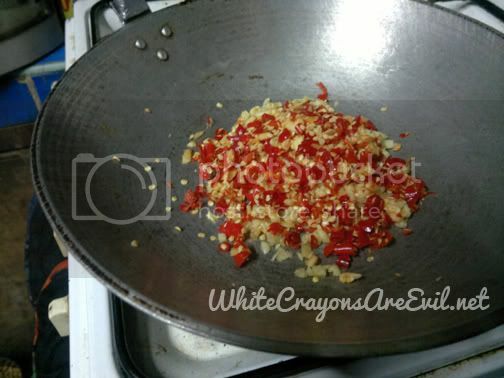 Let it fry until there’s no more trace of the chilies’ nor the garlic’s original color. STEP 6: Call your friends and announce that you made the perfect chili sauce. STEP 7: (optional) Dance a little. 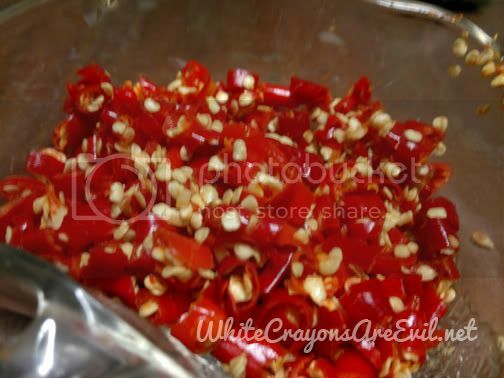 Now that I have a chillie sauce, what exactly do I do with it? 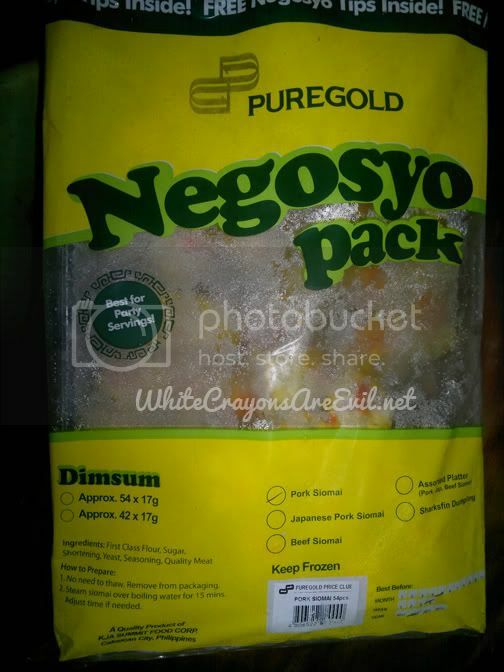 I bought a Negosyo Pack of siomai from Pure Gold (I think it costed less than Php150.. Php 145 I guess). And a pack has 54 little siomai in it. It’s not really little, but not super large as well. If you want to, like, start up a small business I suggest you start with this. 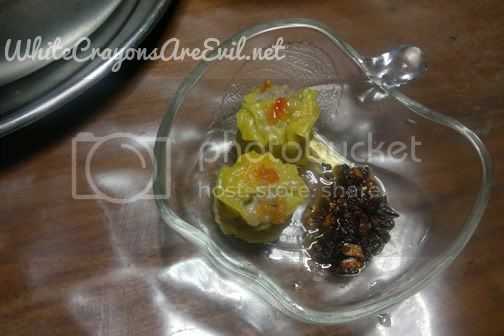 Everyone LOVES siomai (everyone=me). Plus I think PureGold’s price is cheap. Although I don’t think this is available in all their branches. I steamed the siomais for about 5-10 minutes. I just tried a pack of Puregold’s mixed siomai because it IS cheap and I thought it was edible but that’s it. I guess you get what you pay for. 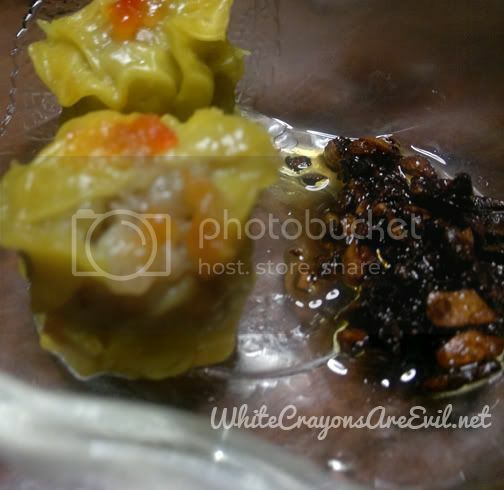 Do you know better brands of frozen siomai? Not too expensive but at least as good tasting as the siomai from Siomai House or Master Siomai?